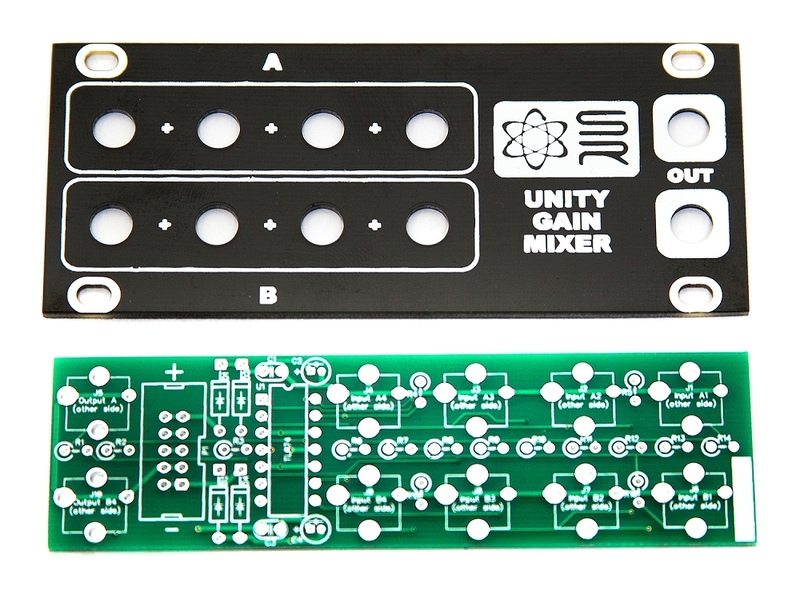 Please note: only includes the PCB and panel for this kit. 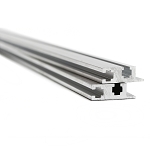 Check out the link to the Bill of Materials at the bottom of the page for a complete list of the parts you will need. 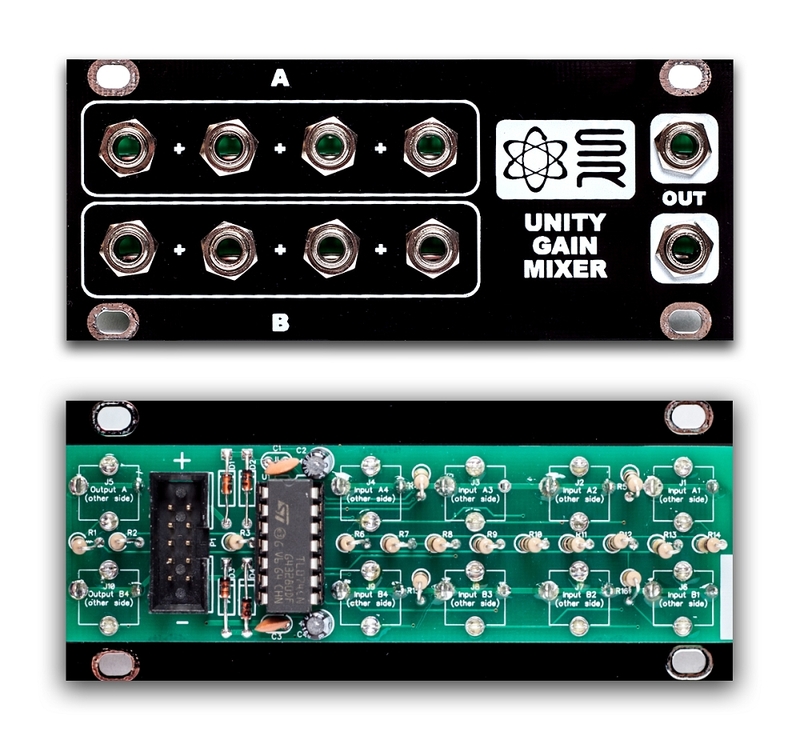 The 1U Unity Gain Mixer adds input signals together and combines them for a summed output. For example, if you put in a 1V source and a 3V source, the output will be 4V. 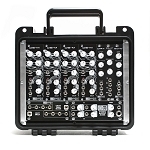 It's mainly used for CV, but it can be used to combine audio signals together. 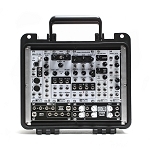 Please note: Synthrotek's 1U products do not fit in Vermona or Intellijel cases.